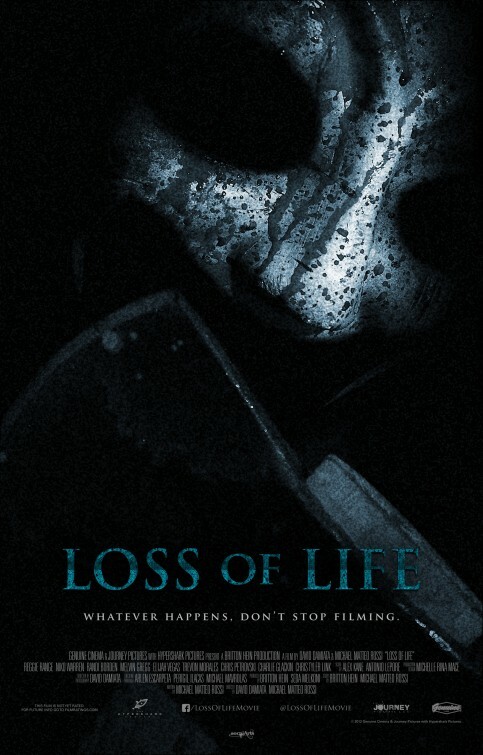 We have another found footage film on the way called LOSS OF LIFE and so far it looks like it may be a good one. The movie is David Damiata and Michael Matteo Rossi and stars Reggie Range, Niko "Ace Primo" Warren, Randi Borden, Melvin Gregg, Elijah Vegas, Trevon Morales, Chris Petrovski, Charlie Glackin and Chris Tyler Link. On October 31, 2011, in North Hollywood, California, a group of high school friends decided to document their halloween night out. What they end up documenting is a horrific bloody attack that quickly becomes the worst night of their lives. This film is the compilation of the footage found that night.